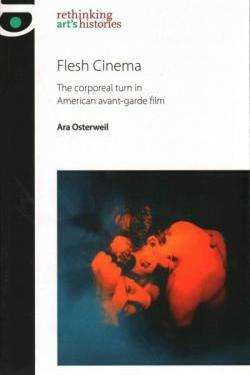 Flesh Cinema: The corporeal turn in American avant-garde cinema explores the groundbreaking representation of the body in experimental films of the 1960s and 1970s. Focusing on sexually explicit films by Andy Warhol, Barbara Rubin, Stan Brakhage, Carolee Schneemann, Yoko Ono and Paul Sharits, this book demonstrates how experimental cinema not only transformed American visual culture, but also the lives of those who created it. By situating these films in relation to the civil rights and sexual liberation movements, Flesh Cinema investigates how social politics continue to inform their meaning. Drawing upon unpublished archival materials, this book provides a rich account of the intimate artistic collaborations that inspired these films. Merging close readings with historical and biographical analysis, Flesh Cinema argues that queer forms of friendship were essential to the innovative representations of bodies on-screen. In doing so, it provides a fresh take on avant-garde cinema for film and art scholars and students.